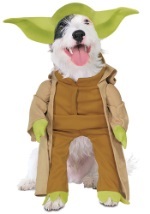 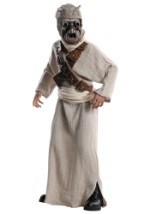 Your dog can slip right into a tribe of Sand People when he wears this handy little disguise! 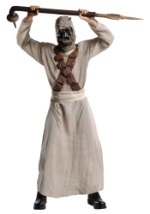 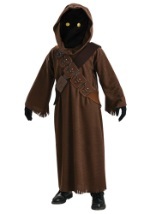 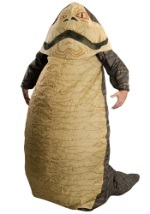 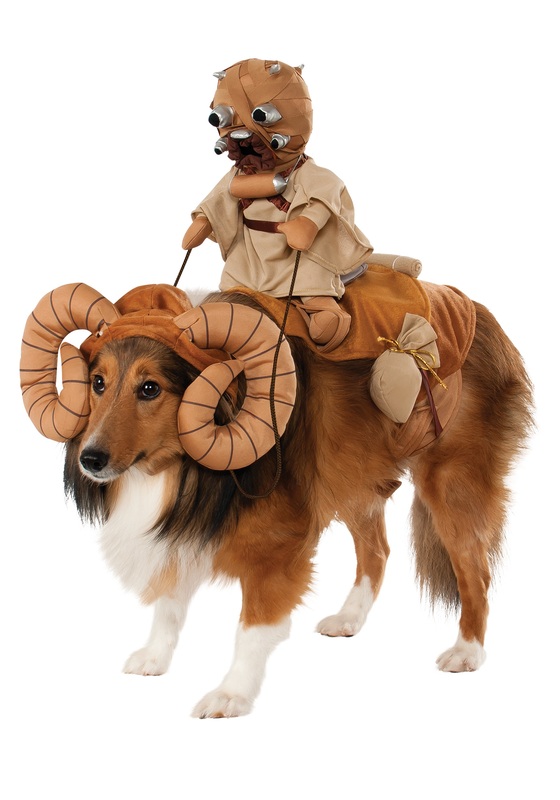 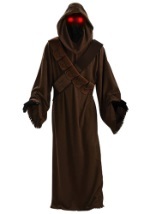 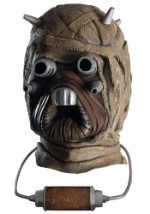 This 100% polyester Bantha costume comes with a little doggie jacket that has a plush Tusken Raider doll attached to the back. 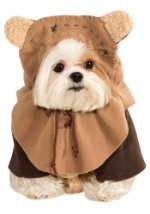 The jacket is shaped like a saddle and fits on your puppy's chest with a Velcro strap. 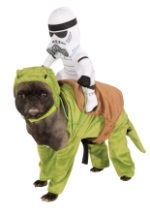 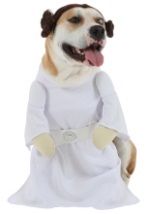 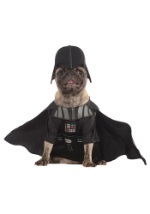 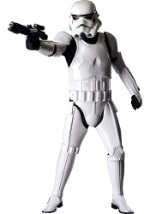 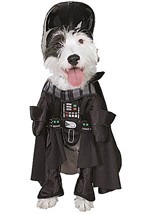 The included hood has stuffed Bantha horns on each side and fits on your dog's head with a Velcro strap. 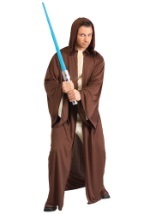 Front body strap fits 28" to 32"; back strap fits 30" to 34"